When talking about the best badminton racket company, Yonex is one of the first names that will be mentioned. Nonetheless, there are rackets from other companies that are equally promising, such as the Victor Brave Sword 12. It is slightly expensive, but with all its features and benefits, you will realize that it is worth every dollar that you will be spending. In the rest of this review, we will have a closer look at Victor Brave Sword 12, including its features and overall performance. Through the discussions below, you will find it easier to decide if this is the right choice for you or if you should keep on looking for other alternatives. This is a racket that is available in two versions. The first one has a 3U weight class, which means that it falls within the range of 85 to 89.9 grams. On the other hand, the 4U version weighs 80 to 84.9 grams. While the racket arrives pre-strung, if you would like to have it strung in the future, the manufacturer recommends that the tension should be about 12 kilograms. Meanwhile, it has an even balance and the flex is medium. This is able to offer the best of both worlds. Lastly, the length of the racket is 675 mm, which is a common length that you can find in many of its competitors. If you are still looking for more reasons to purchase this badminton racket, here are some of the things that can convince you. One of the best assets of this racket is the speed. The sword frame is one of the reasons for this. Nonetheless, while it has great speed, I find it still far from Yonex Nanoray Z Speed, which is considered as the fastest racket in the world. As it is a lightweight racket, it does not lack performance in terms of control. This is one of the easiest to maneuver from the rackets that I have used in the past. It does not cause too much fatigue while making sure that it will send the shuttle in the direction that is intended. While it can be used even for singles, it should be noted that this is most impressive when it is used for doubles. 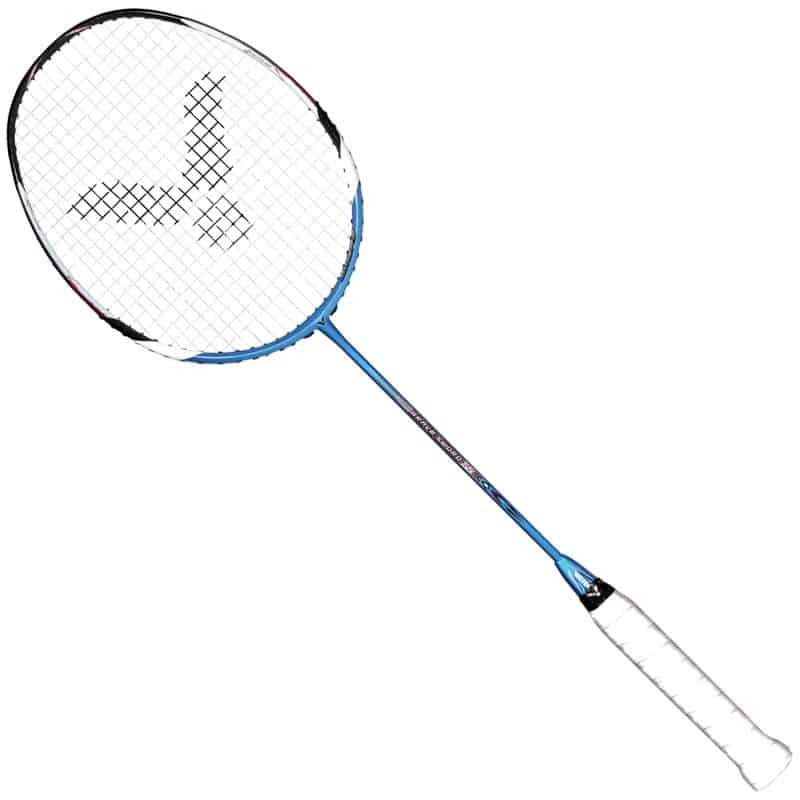 In fact, this is the racket of choice of Korean players who are playing badminton doubles. From all of the benefits mentioned above, it is pretty much clear that this is an option that is hard to match. To enjoy these benefits, click on the button below and purchase it today! However, to have a fair assessment, it is also important to take note of the fact that it has its fair share of drawbacks, which can make you hesitant in having it purchased. For a racket that is as great as this one, it is hard to find a lot of faults. If there is one that I could think of, it would be its steep price. With this, if you are looking for an exceptional racket without the need to spend too much, Yonex Arcsaber Lite and Yonex Voltric Lite can prove to be better alternatives. While there is power in your shots, in the case of smashes, it can be underwhelming. The reason for this is perhaps the fact that it is an even-balanced racket. If you want one that is more powerful, a head-heavy racket will be a good choice, such as Yonex Voltric Glan Z. One of the most impressive things is the diamond-shaped design. The design optimizes the performance of the racket, making it cut through the air like a sword – fast and with enough power. This improves the speed of your swing and also reduces air resistance. It also utilizes a technology that is known as Nano Tec. This improves the stiffness of the carbon composites and is also vital in improving the racket’s durability. Lastly, it also has materials that can significantly absorb shock. With lesser vibration, it improves not only comfort, but also stability. Defensively, this is a badminton racket that you will admire. The head is designed in such a way that air resistance is reduced, making it easy to maneuver to quickly respond to the attacks of your opponent. In line with being a good defensive racket, this is also great for your drives. The design makes the shaft more responsive. To add, the shuttle can also bounce off the string bed quickly and powerfully. Smashing is decent, but it is far from being the best. The lightweight design of the racket is perhaps one of the reasons why smashes may lack a power. As expected, your serves will also be effortless. This is because of the weight of the racket, which means that it does not take a lot to launch the shuttle and send it to the other side of the court. The Victor Brave Sword 12 is a racket that is perfect for players who value speed and control. The first time I used it, I was instantly reminded of how Yonex Voltric Z Force 2 performed. Whether you are a beginner or a pro, you will benefit from the use of this racket. With its steep price, however, this may not necessarily be a feasible choice for your first racket. It will also be a great choice for offensive players who like launching aggressive attacks to stun their opponents. In sum, the Victor Brave Sword 12 is a good choice for players from all levels, especially those who do not care about how much they spend in exchange of a product that can deliver exceptional quality. While it has many good things to offer, control and speed are two of its best features. Now is the time to purchase this product and be a better player in your next badminton game! What are you waiting for? Click on the button below and get it today!